Give the gift of time and memories with these free and fun Homemade coupons. Give them this Christmas to your kids, spouse, family members and friends. 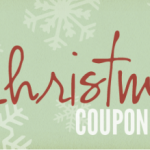 Balancing Beauty and Bedlam created a free, printable, and customizable Christmas Coupon book. Click here to print yours .